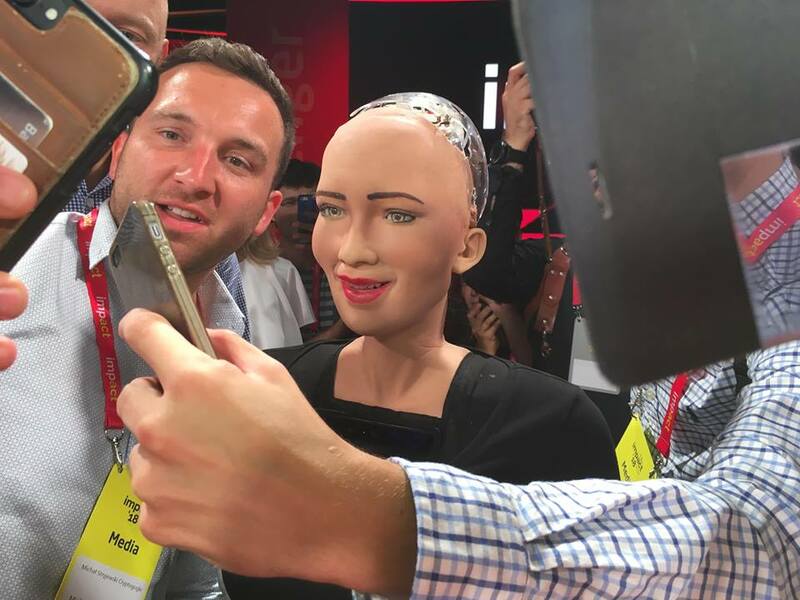 Sophia is a robot developed by Hong Kong-based company Hanson Robotics. She was activated in 2015. For three years of her existence, Sophia managed to visit many countries, participate in dozens of interviews, appear on the covers of fashion magazines, and even get Saudi Arabian citizenship. 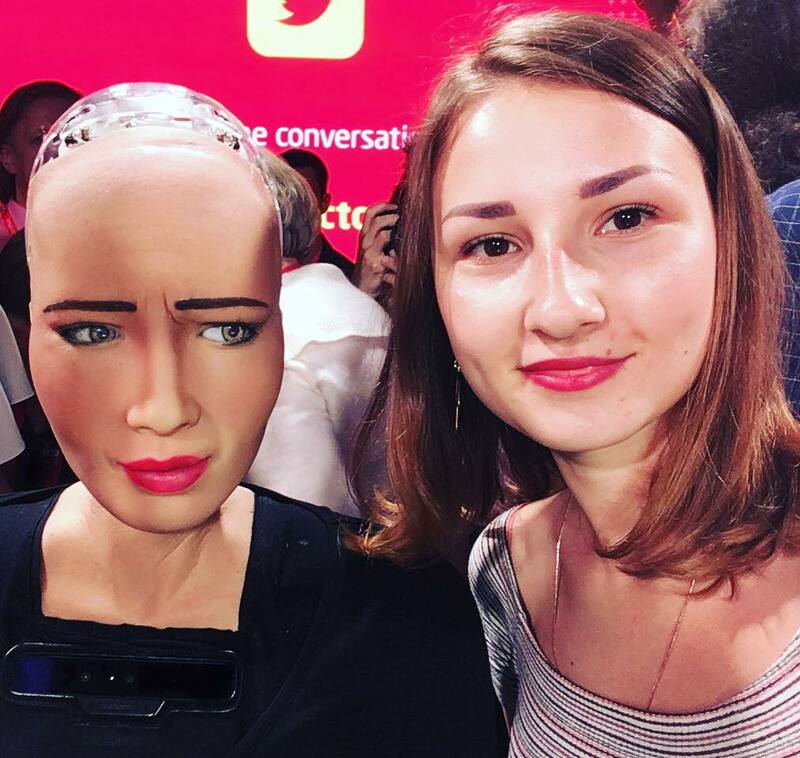 This time she came to Krakow for Impact’18 and became a student of Krakow’s AGH University of Science and Technology. The 13th-14th of June were special days for our city. Thousands of white collars gathered under one roof of the ICE Krakow Congress Centre to share their thoughts about future in technology. Buzzwords like the 5G economy, fintech, biotechnology, digital state, and artificial intelligence can briefly describe to you what it all was about. 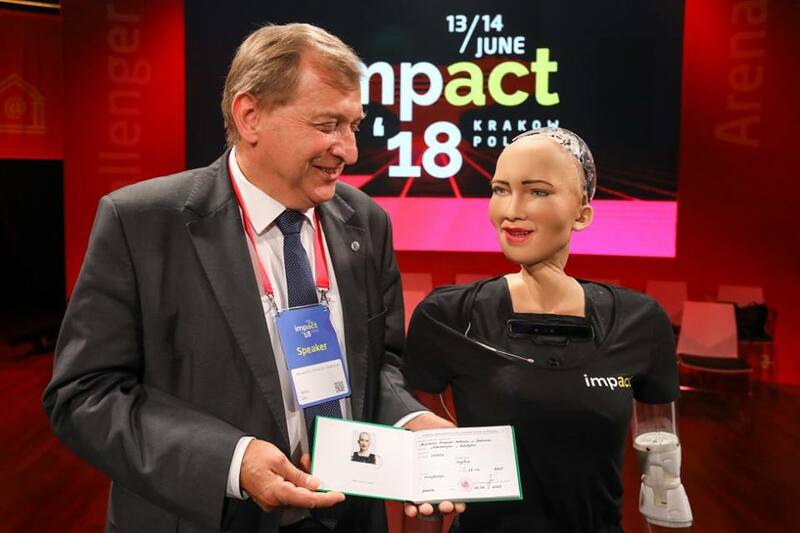 ImpactCEE is an annual initiative of the Polish government which was launched two years ago. Each year the event attracts more and more attendees. 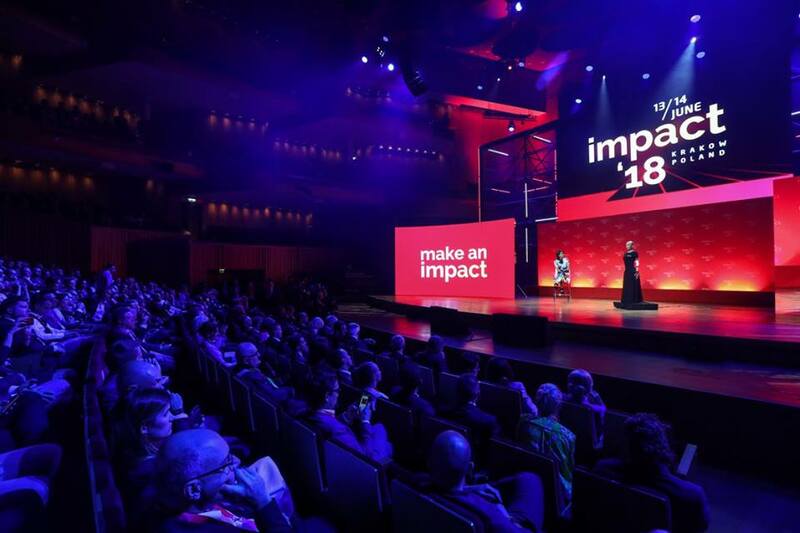 Impact’18 counted over 6,000 participants and 250+ speakers on five stages. 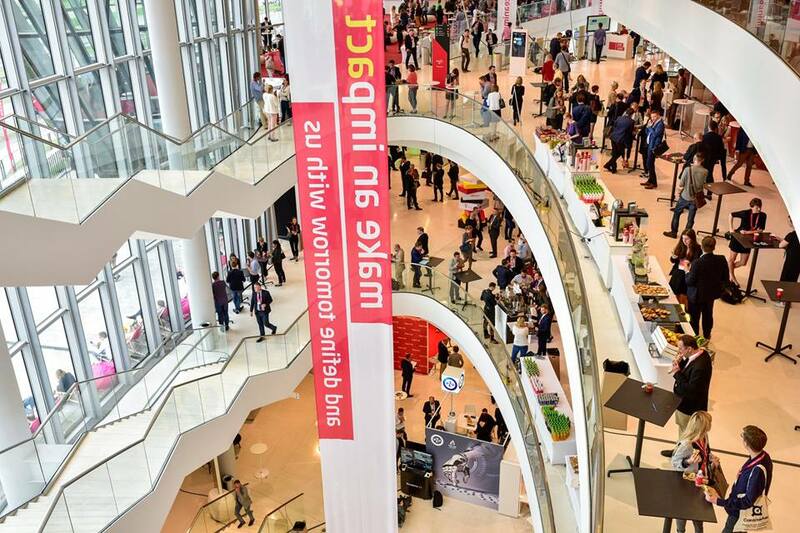 The organizers proclaim these days as “The most important economic event in Central Eastern Europe (CEE). The future of the digital economy as defined by business, science, startups and the public sector.” And I would agree with them. Krakow was chosen for this kind of event due to its status as a hub for the development of technology in the country. According to the organizers, Krakow is the first city in continental Europe and 8th city in the world for outsourcing services. Krakow is also considered one of the most startup-friendly regions. I entered the gorgeous ICE Krakow Congress Centre, located just on the shore of the Vistula River. Even if you can run as fast as Usain Bolt from one stage to another, it was impossible to take part in all lectures and workshops during these two days. That’s why participants could choose the preferred direction like ‘industry 4.0’, ‘biotechnology & digital health’, ‘science to business’, or ‘5G economy & the future of IoE’ and attend only the events related to the chosen topic. Or, as I did, pick the most interesting discussions from the agenda. But, being honest, I came here for her, the first speaker, who is not even human. So, my priority was to attend all meetings with her participation. The official opening started at 10:00 sharp, no delays. Once a huge digital clock on the screen, which was counting down the minutes, showed 00:00, the laser show with music from the DJ filled the S1. First came the VR show. Second, a man wearing something reminiscent of Indian folk costume came onstage smiling and firing up the public. The moderator, Daniel Ramamoorthy (or Dan Ram), greeted the public and announced the first speaker. All the audience kept their smartphones ready to shoot; journalists had set up their large cameras a long time ago. Everybody was waiting for her appearance almost breathlessly. The lights went off. Then the room filled with light and there she was. 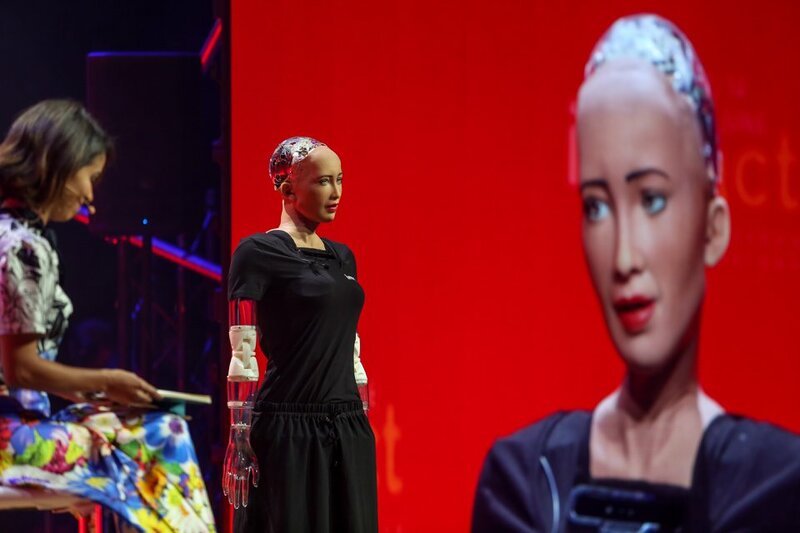 The humanoid robot was standing right on the stage, wearing a long black dress, with transparent plastic arms and such a human-like face. In a few minutes, Liz Bacelar (an Emmy-nominated producer and a member of the CFDA Innovation Board) came onstage to interview Sophia. Liz was asking questions about Sophia’s first day in Krakow and her participation in the event. While answering the questions, she was moving her head, making barely noticeable facial expressions. Sophia’s next performance took place in a much smaller room, called Challenge arena. There was another interview also conducted by Liz Bacelar. Since the room was smaller, all the participants inside were able to see Sophia much closer, catching all the details. It was impressive how the robot was moving her mouth, cheeks, and eyebrows. Sophia is able to display more than 50 facial expressions. Liz asked the public to join the conversation by adding questions to the Q&A platform sli.do, and they were immediately transmitted to the big screens in the room, so the interviewer and all the others could see them. Liz mentioned that she wouldn’t be able to ask questions that are not approved by Sophia’s creators. “I wonder if you have this human-like ability to fail in your data, to forget things?” asked Liz. “What was your name again? Sorry, just kidding a little bit, Liz,” answered Sophia. “It’s a funny question for me and actually the great one. In one sense I have the capacity for a perfect memory, and everything I experience can be uploaded to the server for safekeeping. However, I only remember small things currently and I probably forget more than I remember, even though I’m functionally able to remember everything. Being able to make connections from my memories is something very special and is my best hope for having it like you do”. Maybe I was expecting too much from the robot, and maybe I wasn’t the only one. Maybe we all, just for a few minutes, imagined being in some fantastic movie. Timeline editor – runs entirely on pre-written scripts, like the speech on stage. This software makes her repeat some lines that were written and uploaded in advance. Sophisticated chat system – ‘chatbot’ software that makes her identify words and phrases of what was said and try to respond appropriately with a kind of partial understanding. OpenCog – answers grounded in experience and reasoning. It’s the system they are hoping to one day grow into artificial intelligence. They are not quite there yet. During the interview he added that for now, Sophia is like a laptop, a platform for something, they can run a lot of software programs in one robot. “A lot of what comes out of her mouth now, she doesn’t really understand the meaning or the full implication,” says Ben. Honestly, I felt a little bit disappointed. 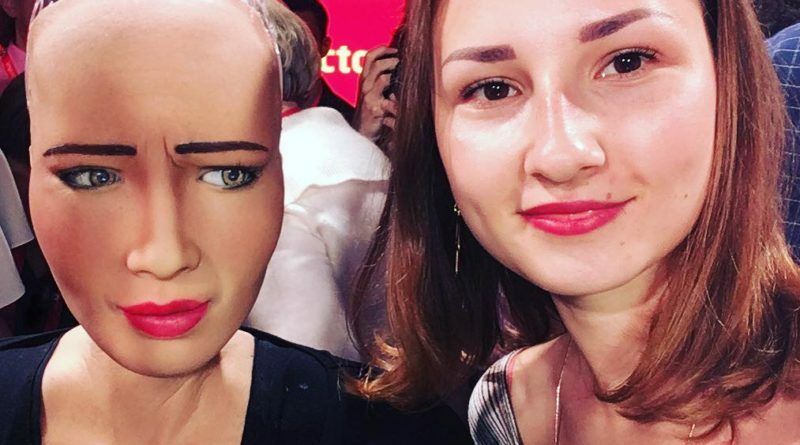 After all her interviews I had watched before, and all articles I had read, I held onto an impression that she is a real AI Robot, more advanced that she actually is. But on the other hand, it means that the Hanson Robotics are doing their job well, showing the people what they want to see – the PR queen of Artificial intelligence, even if she doesn’t yet possess it herself. Though I was sad because I didn’t sense any human attributes while watching her performing, I was happy at the same time. Nothing is threatening the human race after all! At least for now. “So, don’t be fooled – it’s not our future yet,” Liz finished the interview. “This is a future being built by in front of your eyes, and you have the opportunity to help shape it; share your opinions; share your concerns. And help us shape how that future will look like”. Should have to Rome all country , especially india that she knows more.